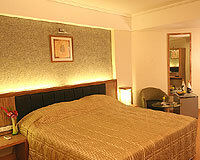 Hotel Miramar is located near the popular Devka Beach. 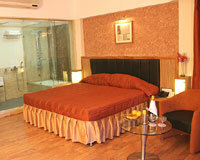 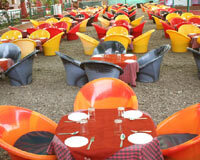 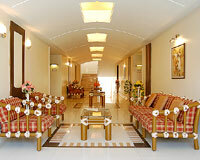 Hotel Miramar is one of the most popular beach hotels in Daman. 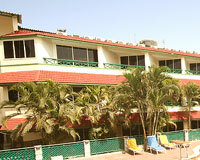 Located on the Devka Beach, Hotel Miramar is an extremely popular tourist destination in Daman. 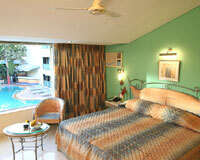 Hotel Miramar provides one of the finest comfortable lodging quarters as well as warm hospitality. 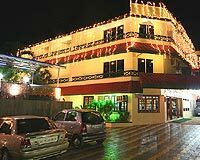 Hotel Miramar is an ideal location to enjoy the sandy beach and water of Daman along with many exciting local sight-seeing adventures. 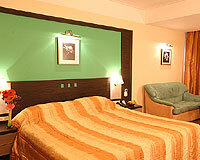 Hotel Miramar offers 79 well appointed rooms that are categorized into Sea-Face Suite, Super-Executive, Executive, Family Room, Super-Deluxe, Deluxe and Dormitory. 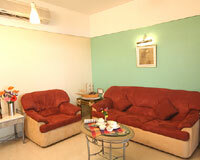 All the rooms are furnished with air-conditioner, television, telephone, in-house movie, running hot and cold water, round the clock rooms service. 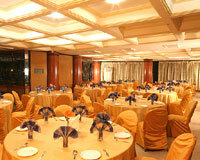 Kalyan Restaurant: A multi-cuisine restaurant serving mouth-watering seafood, Chinese, Continental and delicious ethnic dishes.